The renowned Sutherland links, one of the finest in the UK, has a rich history with Open winners, given its connections to James Braid and Peter Thomson. 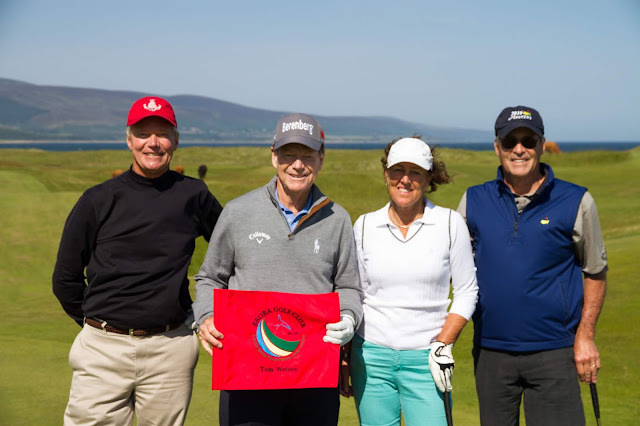 Brora club president Andy Stewart added: “We’re privileged Tom Watson has accepted honorary membership of the club. Ever since Mr Watson was here last summer and spoke so highly of Brora, we had this in our plans and are now delighted to make it official. “Last July, Mr Watson was greeted by a small band of fans and well-wishers. He graciously signed autographs and posed for photos. After his round, he visited the Peter Thomson room and signed a flag for the club. My only regret was that I wasn't able to be there to greet Mr Watson personally.